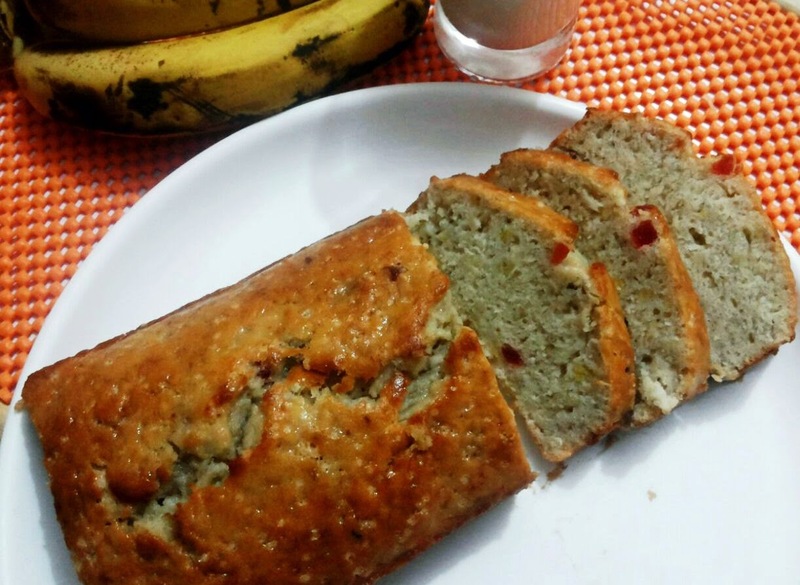 A Banana Cake is the most wonderful after school treat or goes perfectly well with evening tea. It is light,moist and easy to cook.My hubby is a big fan of this cake.My advice is not to avoid vanilla essence(as most of us try to do)because the odour of bananas and eggs might just overpower everything(I made this mistake when I baked it for first time). Take a bowl.Add butter and sugar and whisk them together. Now add vanilla essence,eggs to the bowl and whisk well again. Mash bananas with hands or fork. Add these bananas to the bowl.Whisk the mix well. Now start adding dry ingredients that is all purpose flour,baking powder,baking soda to the bowl. Preheat oven to 180 degree celsius.My oven is of 800 watts. Take a loaf pan .Grease it well with butter. Add the mix to the loaf pan. Place the loaf pan in oven for 35 minutes. After 35 minutes,poke a toothpick in the cake.If it comes out clean then your cake is ready.If the toothpick comes out wet,then bake for some more time. Remove the loaf pan from oven .Let the cake cool on the rack. Once the cake is cool,slice and serve it.This cake is so self sufficient and divine that it can be served on its own:)).